Designed by Khuyen Forsythe. Developed by Irshad Karim. 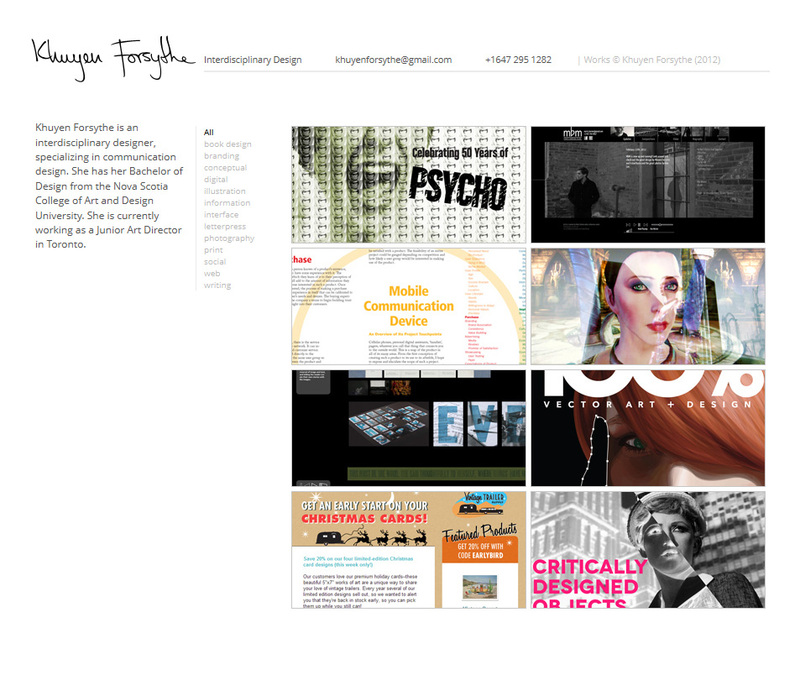 Another site I worked on while developing my Portfolio Framework. Just like all of the other PFW sites, it includes an ajax-driven CMS (via jQuery) that allows for the owner to update all of their galleries very easily. This site in particular uses the 'category' feature to allow the viewer to filter thumbnails. Check out the live site here, and be sure to take a look at Khuyen's work.